Brits heading overseas during the Christmas holidays have been offered festive travel advice by the Foreign & Commonwealth Office (FCO). Travellers are advised to make sure they have enough money to fund their trip and also to make sure their passport is not about to expire, as some countries stipulate that it must be valid for at least six months after the date of travel. Taking out appropriate travel insurance is another top tip from the FCO, with holidaymakers advised to make sure they have comprehensive cover. Those who need it are also reminded to take out adequate sports travel insurance, with skiers and snowboarders advised to take out winter sports cover. 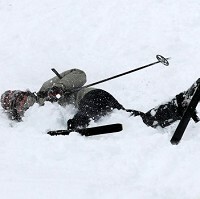 That advice has been brought into sharp focus by separate research that recently suggested one in three people taking their first winter sports holiday risks injury because they are not in good enough shape. The crucial need for sports travel insurance was also shown in the finding that two in five winter sports fans have been injured on at least one occasion. Travellers are also reminded by the FCO to get in touch with their GP or check the National Travel Health Network and Centre's website to find out whether they need vaccinations for their destination.